Care for Peace is transforming impoverished villages in rural Myanmar into thriving ‚? ?Healthy Communities‚? ?‚?¶one ‚? ?Healthy Village‚?? at a time.Care for Peace has modeled a whole-village approach that is designed to lift villagers out of poverty by creating public health, education, agricultural, technological and micro-enterprise systems and facilities.Founded in 2012, Care for Peace has already built the Healthy Community Center ‚??hub‚?? of the first prototype Healthy Village in a remote that is slated for widespread replication throughout rural Myanmar‚?¶and the world! 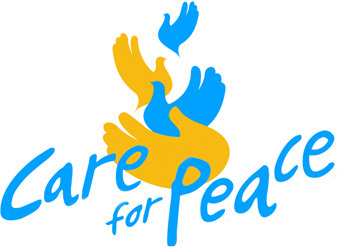 Care for Peace is a Marin-Based international non-government organization 501(c)(3) that was founded in 2012 on the premise that there is a connection between providing care through public health, education and community development services to the under-served people of the world, and the peace desired by government and the people. With the generosity of our nonprofit board members, our advisory board, the Porter Foundation and the Vimy Foundation, over the last three years Care for Peace funded Health Education Equipment, a Mobile Health Van and a Rural Health Center, and provided technical support to the under-served people who live in a safe, secure and accessible district in rural Myanmar. We are now preparing to develop a prototype Healthy Village in Kyauk Phyu, Myanmar‚?¶ one, careful step at a time‚?¶ commencing with a ‚? ?Healthy Community Center‚??. The Center will be used to provide health and medical care, and will be the catalyst for developing village-driven micro-enterprise programs. Practical public health services, sustainable agriculture for food and income, sensible employment, and inexpensive energy systems will make the Healthy Village a powerful resource for sustainable growth and stability.